Going to a country where not everyone speaks English sometimes causes some small trouble in communication. Therefore, learning some common words and phrases of the local language is important. This also applied in Bali. 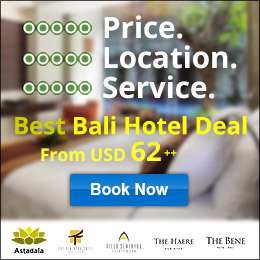 Probably, some of you may don’t know that Bali is an island located in Indonesia, a country located in South East Asia. It has more than 17.000 islands and some of them you probably have heard before. 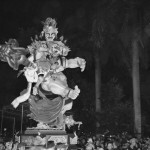 There are 5 main big islands and many other small ones, Bali is one of the small ones. 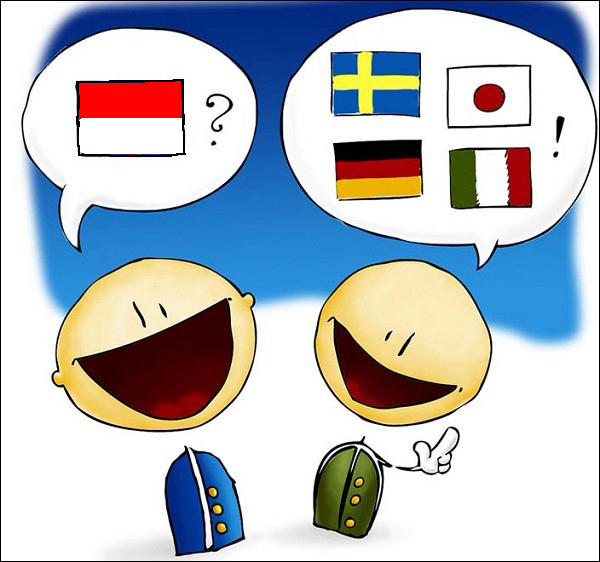 The national language spoken in Indonesia is Indonesian, which well known as Bahasa Indonesia, Bahasa means language. 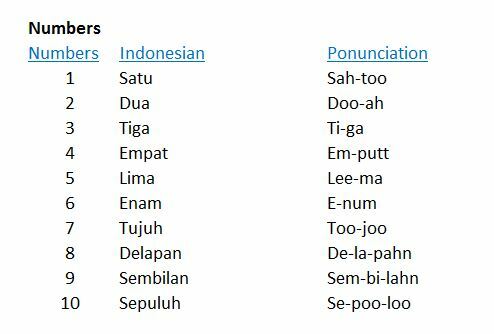 Bahasa Indonesia is also spoken in Bali as well. 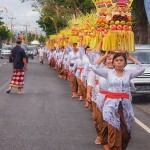 The local language is Balinese, however, most people communicate using Bahasa Indonesia. In the touristic area like Kuta, Seminyak, Ubud or Sanur, most locals speak English even though not fluently. However, there are many of the locals who don’t. 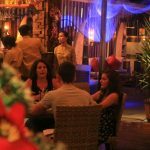 So, it is important for foreigners who are planning to come to Bali for holiday, work or live to know basic phrases and words in Indonesian to be able to communicate with the locals. 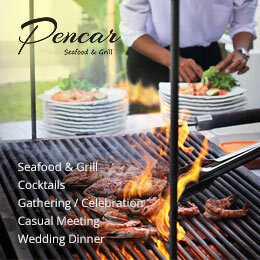 This will help you to live your Bali life easier. 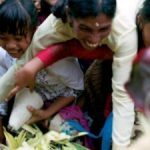 In addition, the locals love it when you speak Bahasa Indonesia, they will right away to make friends with you if you speak Bahasa Indonesia to them. 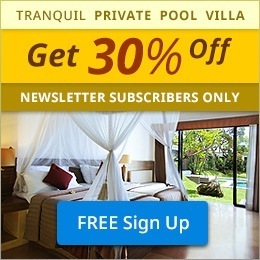 As an advantage, your Bali life will be a lot more easier. 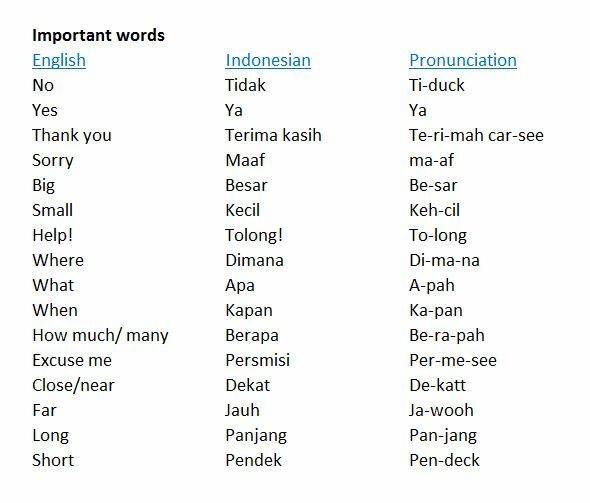 Note: For Selamat pagi, Selamat siang, Selamat sore or Selamat malam, we often shorten the greets without using “Selamat”. 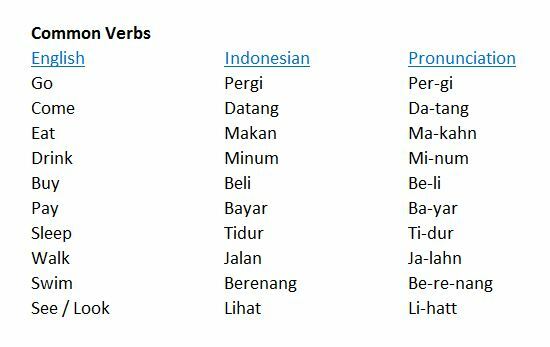 So we just say “Pagi, siang, sore or malam”, similar as when native English speakers greet only saying “Morning” instead of “Good morning”. Note: We sometimes say “Terima Kasih” as “Makasi” which similar meaning as “thanks”. Also, we say “nggak” instead of “tidak” to sound more casual because “tidak” sounds very formal. If you go to Indonesian warung, normally they will serve food or drink that normally served to Indonesian. For example: they put sugar on your coffee or tea without asking, or put chilli or sambal on your food without asking. 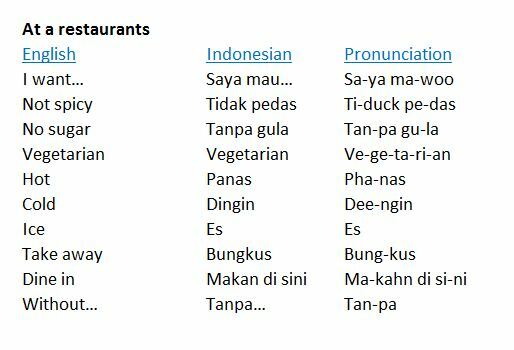 To avoid those, here are some important words when you are in a restaurant or small local warung. Here are some common words that often used for a basic conversation with locals or to use at grocery store or market. Here are some short sentences to start a conversation with locals. Once you can say some of these sentences, they will make friend with you right away. Oh! don’t be surprised if they ask you some personal questions like “are you married?”, it doesn’t mean that they want to know your personal life, but it is a normal question in Bali. If you wish to learn more details about Indonesian language, click here. Good luck and be ready to have many local friends and speak Indonesian fluently! So, did you find this article helpful for you? If you do, click SUBSCRIBE to be the first one who get the latest blog post! The Web site makes available information of third parties (the “Third Party Content”). You acknowledge and agree that the Third Party Content is not created or endorsed by Travel Blog Astadala nor are any products or services offered through it. The provision of Third Party Content is for reference purposes only. You acknowledge that the Third Party Content provided to you is obtained from sources believed to be reliable, but that no guarantees are made by the Web site or the providers of the Third Party Content as to its accuracy, completeness, timeliness. By using any Third Party Content, you may be re-directed to an external website, if you decide to visit any such site, you do so at your own risk and it is your responsibility to take all protective measures to guard against viruses or other destructive elements. Travel Blog Astadala makes no warranty or representation regarding, and does not endorse, any linked Web sites or the information appearing thereon. This website was very helpful because I’m going to bali in three months.